Canberra Health Services (CHS) is a values-led Directorate. Our values guide our day-to-day actions, behaviours, decisions and communications to successfully deliver the best services to meet the needs of our community. They were developed by us, for us and are unique to our work. CHS is committed to the delivery of person and family centred, safe and high quality care in a sustainable health system. This will be achieved with key strategic priorities for CHS which includes ensuring the delivery of Canberra Health Services Quality Strategy and government priorities and aligning them with Canberra Health Services Territory Wide Services Framework. 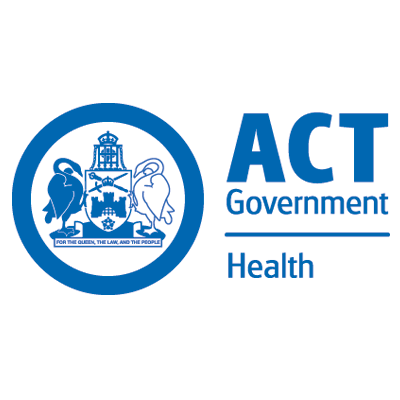 CHS provides acute, sub-acute, primary and community-based health services to the ACT and surrounding region. The key strategic priority for acute services is to deliver timely access to effective and safe hospital care services. The hospital delivers a full range of medical, surgical and obstetric services, including complex procedures in areas such as cardiac surgery, neurosurgery and neonatal intensive care. Strong links exist between hospital and community-based services, as many of the operational divisions deliver services across the continuum of care to ensure continuity of care for patients. The community based services of Canberra Health Services include Early Childhood, Youth and Women’s Health; Dental Services, Rehabilitation and Community Care; Mental Health, Alcohol and Drug Services. In addition, Justice Health Services are provided within the Territory’s detention facilities. CHS is a partner in teaching with the Australian National University, the University of Canberra and the Australian Catholic University. • Certificate IV Hospital Pharmacy certificate or possessing qualifications deemed equivalent by the employer. • Minimum three years’ experience as a hospital Pharmacy Technician. • Certificate IV in Training and Assessment (TAE) or Diploma qualifications in Adult Learning, Vocational Education and Training, or similar. • Undergo a pre-employment Police check. • Be registered under the Working with Vulnerable People (Background Checking) Act 2011. • Comply with Canberra Health Services credentialing and scope of clinical practice requirements for allied health professionals. • Obtain a Compliance Certificate from OMU (Occupational Medicine Unit) relating to assessment, screening and vaccination processes against specified infectious diseases. All new staff will be responsible to have their immunisation status up to date prior to commencing work with Canberra Health Services. Employees will be expected to work across multiple CHS locations. 2. Assist in the organisation, co-ordination of the planning and execution of work in the imprest, dispensary and manufacturing services of the pharmacy department. This would include technician rostering; review of work duties/workloads of various rotations; provide suitable performance statistics (e.g. scanning and dispensing statistics) to the Director or Deputy Director. 4. Liaise with other care and service providers to ensure seamless continuum of care from hospital to community that meets the needs of patients and carers. 5. Participate in weekend and public holiday rosters and undertake overtime as required. • Receiving telephone enquiries into the department. • Assisting with training in the manufacture of sterile products under the supervision of a registered pharmacist, using aseptic technique and following established procedures. These are the key criteria for how you will be assessed in conjunction with your resume and experience. Your statement of claims against the selection criteria should summarise how your skills and experiences would enable you to fulfil the responsibilities of the position. It is therefore in the interests of candidates to present their application in a way that demonstrates significant outcomes associated with each of the criteria, as well as the capabilities and behaviours that underpin them. (Please note that it is not necessary to address the capabilities and behaviours individually). 1. Demonstrated experience, knowledge and skills in a variety of hospital pharmacy technician duties including (but not limited to) supply services, manufacturing and clinical pharmacy services. 2. Demonstrated effective interpersonal and communication skills, as well as proven capacity to work as a team leader, including experience in staff supervision, orientation, education and training. 3. Advanced proficiency with and knowledge of computerized systems applicable to the hospital pharmacy setting, such as Merlin, iPharmacy or other dispensing software packages; Pyxis® or other automated dispensing cabinets; and tablet packing machines. 4. Demonstrated ability to organize a complex workload and efficiently meet deadlines. 5. Demonstrated commitment to Work, Health and Safety (WH&S) and the positive patient experience and displays behaviour consistent with Canberra Health Service’s values of Care, Excellence, Collaboration and Integrity. For further information about the position and a copy of the Performance Expectations and Jobs Demands Checklist, please contact the Contact Officer above.